About the Immune system: what is the Immune system? How it works with respect to the human body? Disorders aroused due to weak human immunity and the proper nutritious diet that will boost the immunity. The immune system of the human body is a set of biological processes and structures that offers protection against diseases. For proper functioning, the immune system must be able to detect a variety of external and internal agents such as parasitic worms and viruses and also should be able to distinguish them from the body's own useful and healthier tissues. Harmful organisms called pathogens rapidly evolve inside a human body to escape neutralization and detection by the immune system. But an interesting fact about the immune system is that it itself also rapidly evolves to combat the effects of these harmful pathogens. Such an acquired or evolved immunity about the immune system creates an immunological memory which is helpful in remembering the initial response to particular pathogen that subsequently provides an enhanced and better response in future encounters with the same pathogen. This fact about the immune system is utilised and serves as the basis of vaccination. If the immune system is weak or any kind of disorder in the immune system can lead to autoimmune diseases in women and men, cancer or other inflammatory diseases. A disorder called immunodeficiency occurs at times when the activity of the immune system is lesser than normal that results in life threatening and recurring infections. In human beings such deficiency can either be due to a genetic disorder like severely combined immunodeficiency, acquired diseases such as HIV or intake of immunosuppressive medication. Contrary to this fact about the immune system, autoimmune system disorder is the result of a highly active immune system that usually starts attacking normal tissues thinking that they might be foreign organisms. Some common autoimmune system disorders include rheumatoid arthritis, Hashimoto's thyroiditis, diabetes mellitus type 1 etc. The study of the immune system and all aspects about the immune system is covered in the branch of science called Immunology. The human immune system offers a layered defence from infections of gradual increasing specificity. Simply speaking, the physical barriers in the human body prevent the virus and bacteria from entering the body. If a pathogen is able to breach this physical barrier about the immune system, then the innate immunity system will provide a non-specific but immediate response. Further breaching of the innate immunity system will be handled by the adaptive immunity system that is found only in vertebrates, offering a second protection layer. This feature about the immune system adapts its response to the pathogen to enhance its recognition. This is retained in the immunological memory that tackles such pathogens more strongly and faster the next time it attacks the organism. For a healthier and stronger human being, a stronger and active immune system is essential. On occasions of human immune system failures, the disorders occurring fall into broad three categories namely hypersensitivities, autoimmunity and immunodeficiency. Hypersensitivity: the condition of the body when the immune system response itself damages the human tissues is hypersensitivity. There are 4 types of hypersensitivity disorders (Type I to Type IV). Type I is usually an immediate response mostly associated with allergies. Type II takes place when there is binding of antigens with antibodies. Immune complexes are responsible for Type III, while Type IV takes days to build up and is triggered by autoimmune system disorders or infectious diseases. Autoimmunity: happens when the immune system fails to differentiate between self organisms and tissues and external pathogens. Immunodeficiencies: on instances when some component about the immune system becomes inactive, immunodeficiency occurs. Boost your immune system by following a healthy lifestyle and healthy diet! The immune system is like an external saviour framework saving the human body against pathogen attacks and alien organism infections. It becomes your duty to enhance and encourage the immune system in its functions and duties. You can do that by following a healthy lifestyle and eating a healthy diet. Try to eat lean proteins. These nutrients act as antibodies and also contain zinc which is useful in production of white blood cells about the immune system. Good intake of a lot of fruits and vegetables is a must daily as they contain the required vitamins and minerals that aids in combating the effects of infectious diseases. Walking or mild exercise daily will pep up your body and the antibodies will be easily transported to your whole body due to increased blood circulation. Reduction in stress levels by doing yoga or listening to music will also help in building a better immune system. 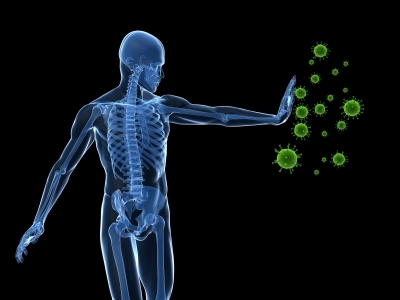 A balanced immune system is better than a strong immune system. If the immune system is not strong a person may be target for various kinds of allergies as well as suffer from an autoimmune disease. 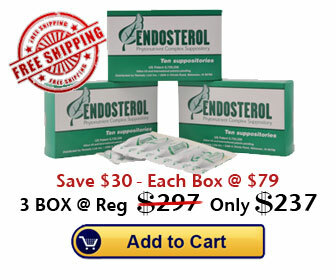 Therefore it is imperative to balance the immune system and Beta sitosterol an important ingredient of Endosterol is known to have the properties of balancing the immune system as well as increasing the immune function at the same time. 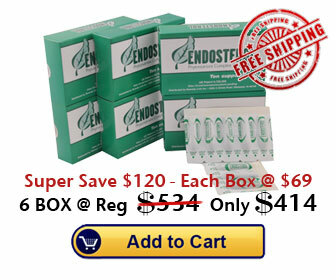 State of the art herbal supplementation is provided by Endosterol suppositories to support improved health. It contains the highest grade of beta sitosterol, pumpkin seed extract, ellagic acid, saw palmetto and quercetin as well as ginko biloba. 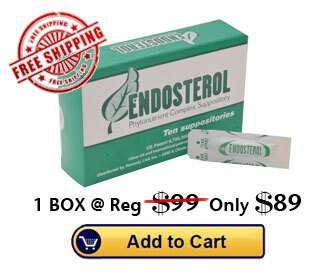 So wait no further and invest in Endosterol today and improve and balance your immune system and Discover the healthier Newer You.